What a beautiful collection of friends you’ve got there. oh, a bike rally. we needs to have one of them. That makes me happy and sad at the same time. I miss you, Keith. 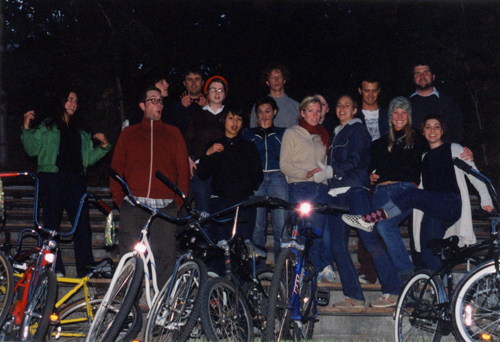 And I miss Provo in 2002. That ist rad. Fond memories. keith…that was so fun to watch. good times. thanks for sharing. oh my. i remember that. whoa. i feel weird. Twas a great night and the end of an era. I personally enjoyed witnessing Court’s junk and watching you make out with another man.